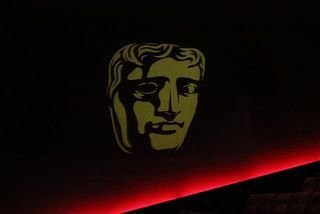 Ahead of the British Academy Film awards 2016, BAFTA showcased the work by photographer Phil Fisk on the last weekend of January in Piccadilly. Luckily I was able to attend Fisk’s talks - Anatomy of a Photography Part 1 & 2 - about his series of pictures displayed in the exhibition and how he planned his project out. Fisk’s main intention was to show the sneak peeks of the film world. In fact, in his photographs, Fisk focuses on the people who operate behind the scenes in filmmaking, capturing different roles from casting agents to the props makers. The project was shot in two months thanks to the help of Janette Dalley – Photography Director at BAFTA. Fisk’s main inspiration was photographers back in the 60s and 70s as in his opinion they had much more freedom than contemporary photographers. Terry Gilliam’s portrait - screenwriter, film director, animator, actor, and comedian - was the key element of the series. Gilliam’s portrait received a lot of attention from the press and initially set the bar for Fisk. The concept of this portrait was based on Gilliam himself and his craft. The result is a surreal picture of Gilliam inside a boat surrounded by trees and leaves. Fisk explained that during the shoot, it was so windy there were no leaves on the ground so they had to bring them in themselves from south to north London. This shot was Fisk’s favourite as it set off the whole project and allowed Fisk to ask people from the industry to join the series. Most of the shoots in his collaborative series went smoothly but happy accidents, as Fisk describes them, were always on the horizon. For example, when they shot with David Oyelowo, main actor in Selma, they booked out the most expensive large suite in London and ended up only using a foot square of it in the corner bathroom of the suite. Fisk’s idea was to create the illusion of infinite selves to portray the craft of acting, highlighting the subject’s more vulnerable side. Fisk admitted that selling his idea to the subjects was hard and very stressful, especially if done on the day of the shooting. Fisk’s ability to convince them was the idea that with his surrealist work, the subjects would have been able to see their true selves in the final outcome. Both talks were very inspiring as a photography student. They made me realise that, in order to create an outstanding body of work, I have to make a clear plan ahead of the shooting and think outside of the box.